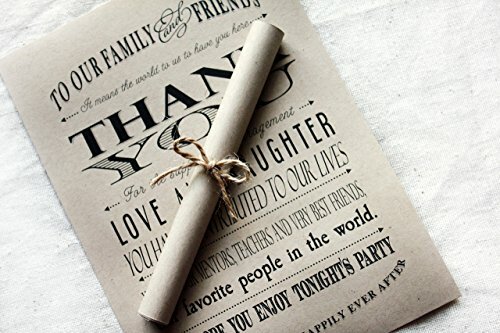 5x7 rustic wedding thank you scrolls come in a set of 25. They are shipped flat and will need to be rolled and tied off upon receipt. This ensures the safest possible shipping as well as the best color match for your wedding theme by purchasing the tie offs separately. If you have any questions about this product by SweetSights, contact us by completing and submitting the form below. If you are looking for a specif part number, please include it with your message.